Offering double-diameter expansion, maximum weight retention and excellent accuracy, Barnes® VOR-TX delivers maximum tissue and bone destruction, pass-through penetration and devastating energy transfer. Multiple grooves in the bullet's shank reduce pressure and improve accuracy. Bullets open instantly on contact—no other bullet expands as quickly. Nose peels back into 4 sharp-edged copper petals destroying tissue, bone and vital organs for a quick, humane kill. 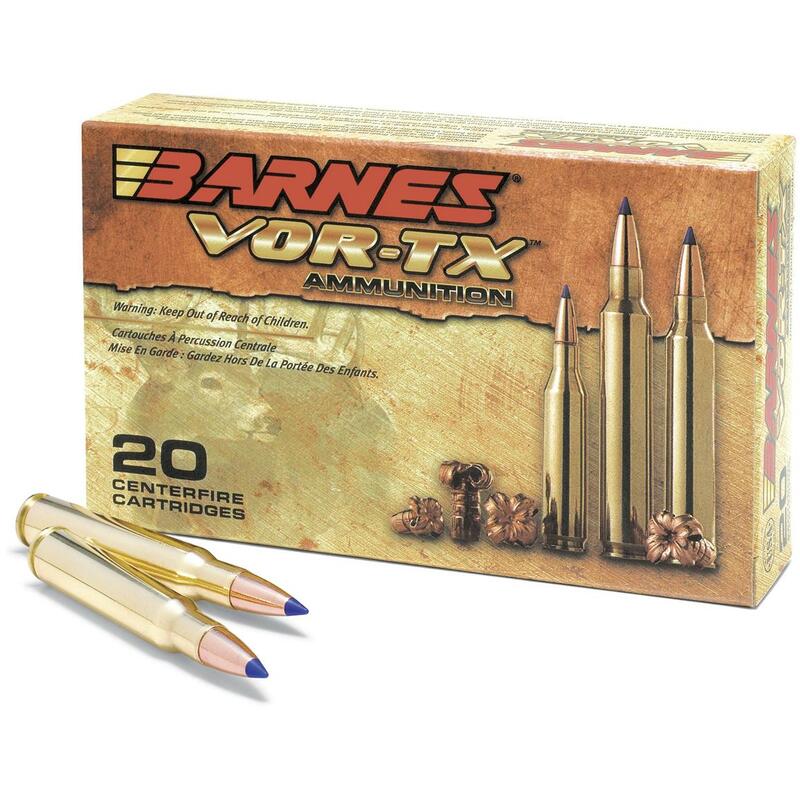 Get your Barnes® ammo right here! Barnes VOR-TX, .308 Winchester, TTSX-BT, 150 Grain, 20 Rounds is rated 5.0 out of 5 by 2. Rated 5 out of 5 by Georgia Boy from TSX is the best bullet I have found I have a custom 308 with a Shelin barrel. Both the Barnes and Federal Premium cartridges with 150 grain TSX give me groups that are less than 1/2 inch at 100 yards and 1 inch groups at 200 yards. I prefer the Federal with the non-tipped TSX, they group a little better. As for performance, I have taken three WIsconsin bucks, each over 300 pounds with the round. I recovered one bullet and it retained 95% of the original weight. You can't get berrer than this.